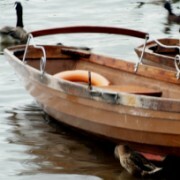 Originally from Lancashire, Iain graduated in Fine Art Printmaking and now lives and works in Northamptonshire. He is a member of Leicester Print Workshop and founding member of Buckingham Printmakers, part of Buckingham Art for All. Iain’s work consists of textural, aesthetic forms, which are abstract and representational. Iain loves working from actual landscapes and images and creating a response to them through line, mark making and ultimately through printmaking. He uses a variety of techniques including collagraphs, etching, lino and woodcuts onto prepared mixed backgrounds. These approaches allow Iain’s love for texture and the aesthetic to be explored and incorporated into his work. Iain enjoys teaching in studios, out in the community and for clubs and societies. 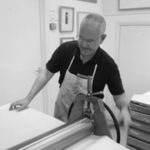 With a former life in the public sector, Iain trained health professionals and now combines his participatory, informal teaching skills with his love for art and printmaking.